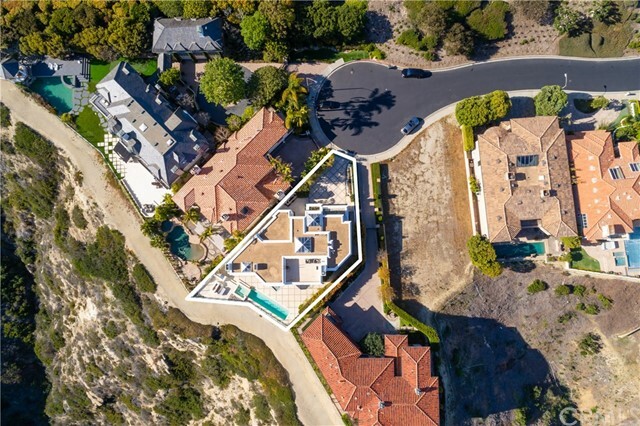 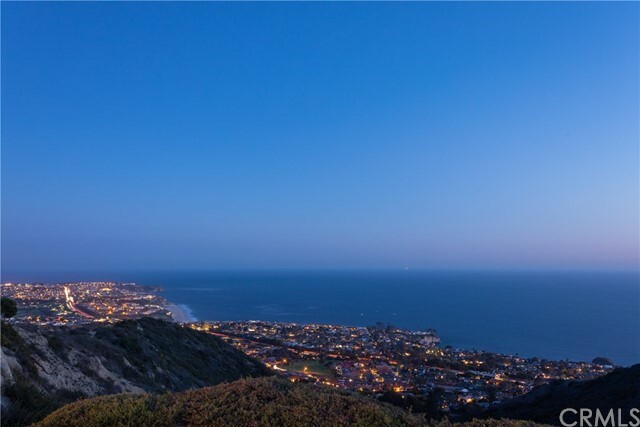 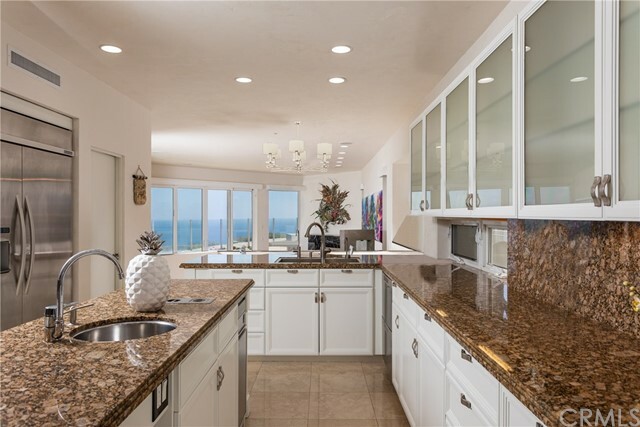 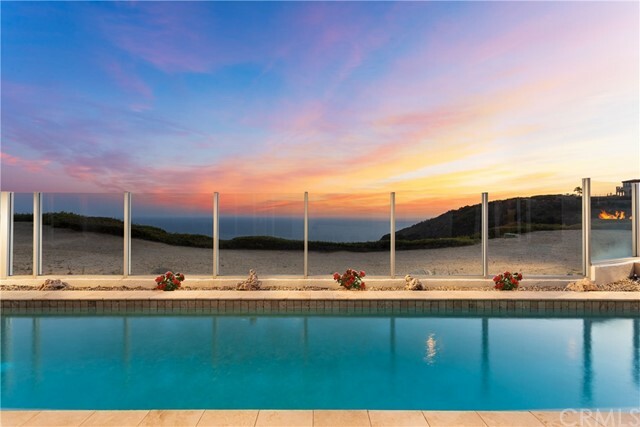 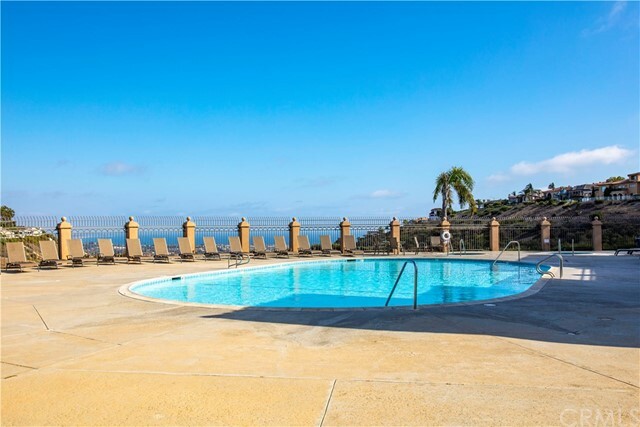 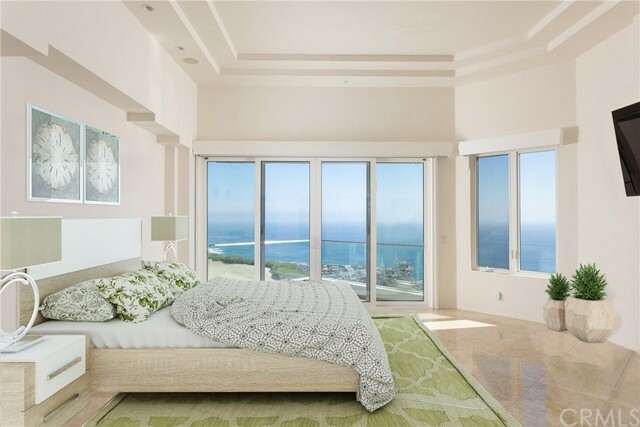 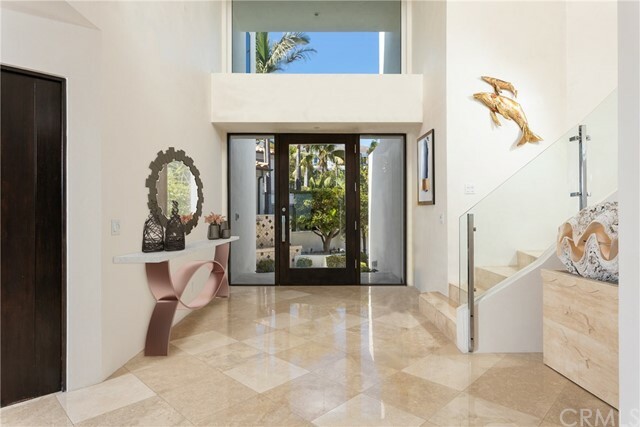 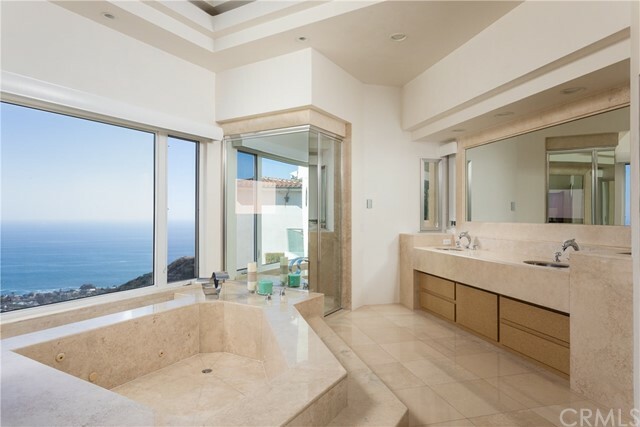 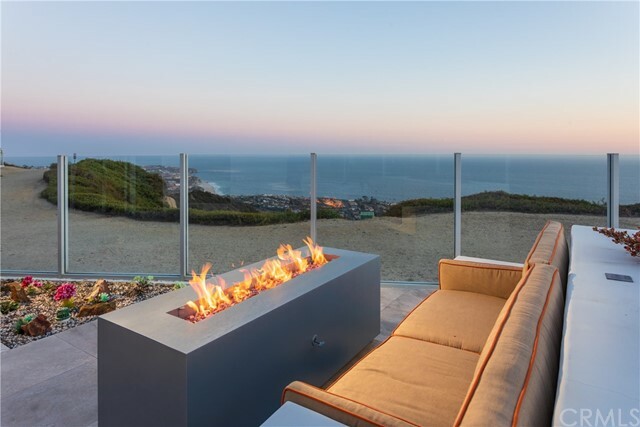 Come home to relaxing, endless ocean views in this sophisticated five bedroom, four bathroom, contemporary home perched high on a bluff in the exclusive gated community of Monarch Point. 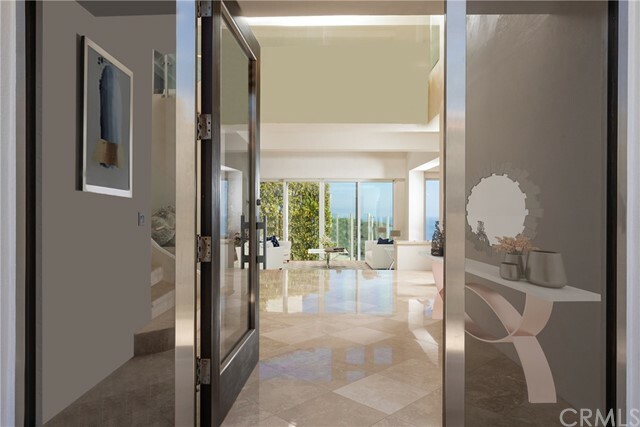 Glass entry doors usher you past a statement waterfall into the two-story foyer, complete with the large retractable skylight – perfect for enjoying starry nights and warm summer breezes. 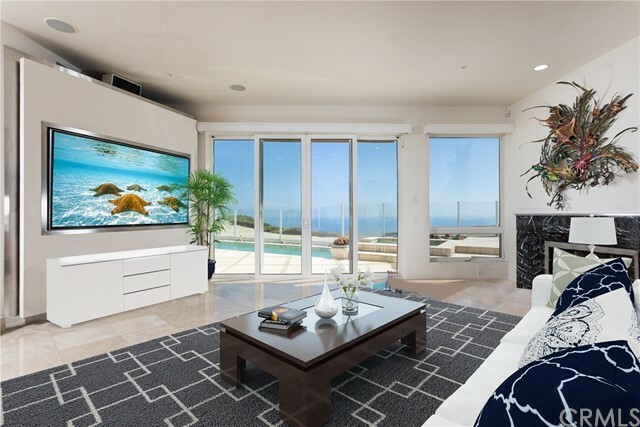 Floor-to-ceiling windows in the expansive two-story living room provide breathtaking panoramic ocean views framed by endless blue skies. 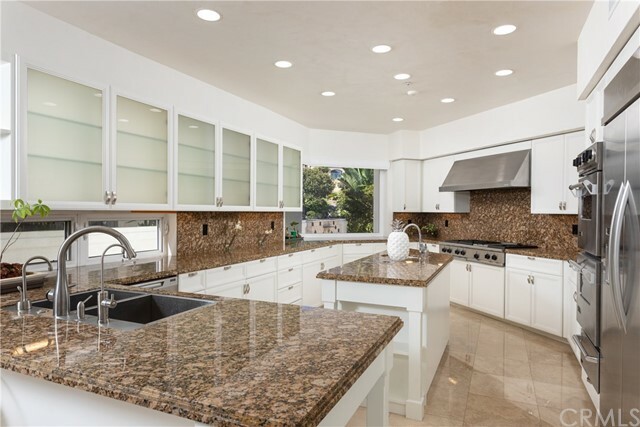 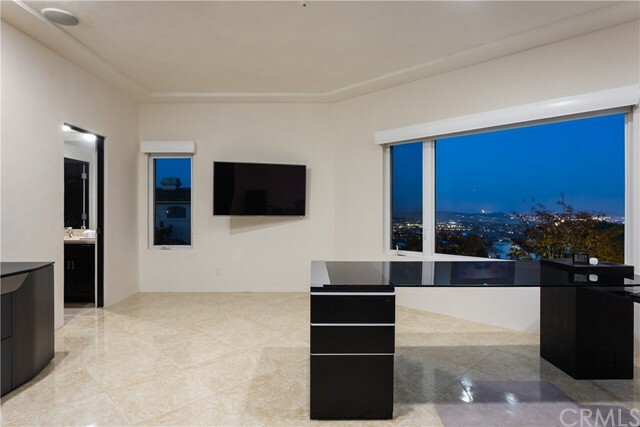 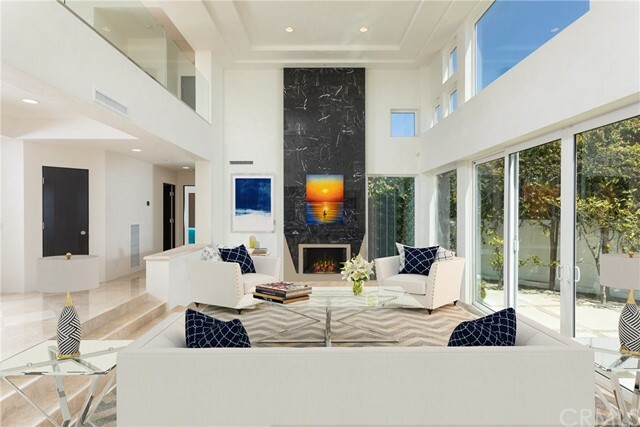 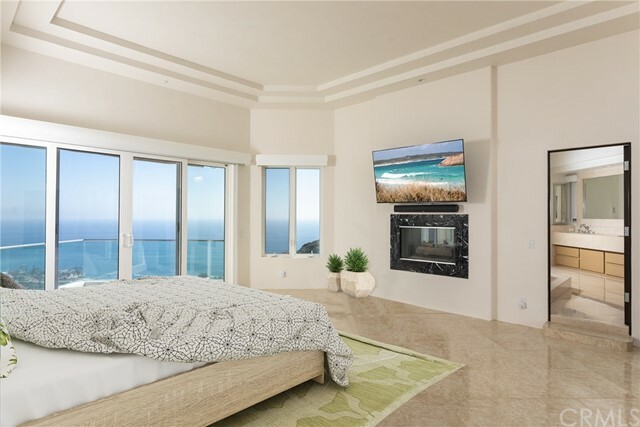 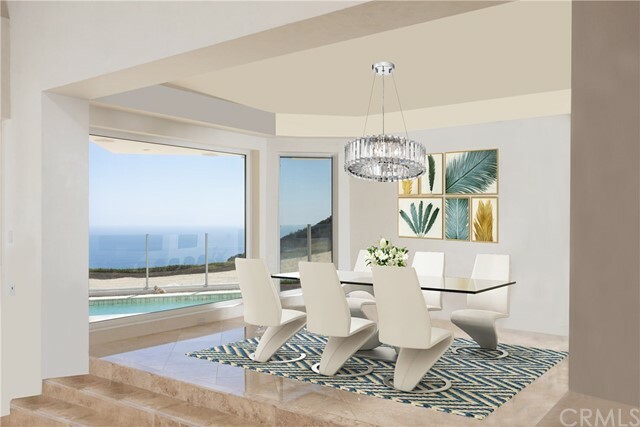 An elegant array of granite and marble finishes as well as views of the ocean and city lights are delivered in every room in this open floor plan home. 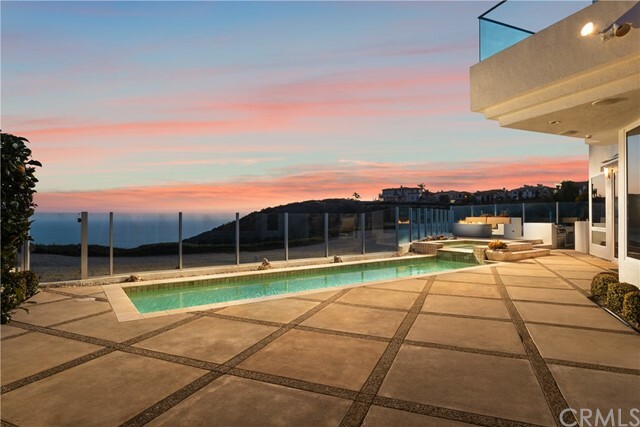 The one of a kind backyard complete with pool, spa, outdoor kitchen, and fire pit provides opportunities to entertain in style. 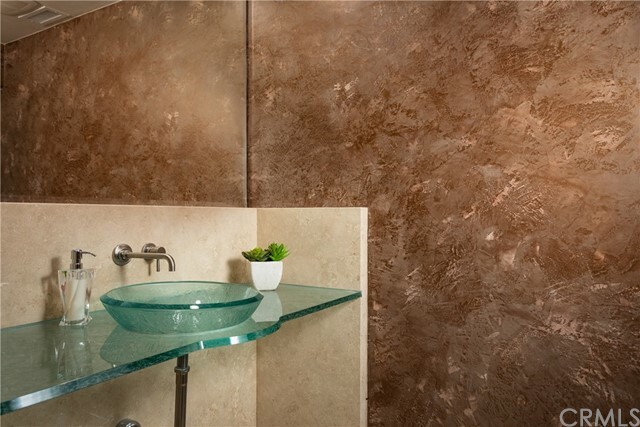 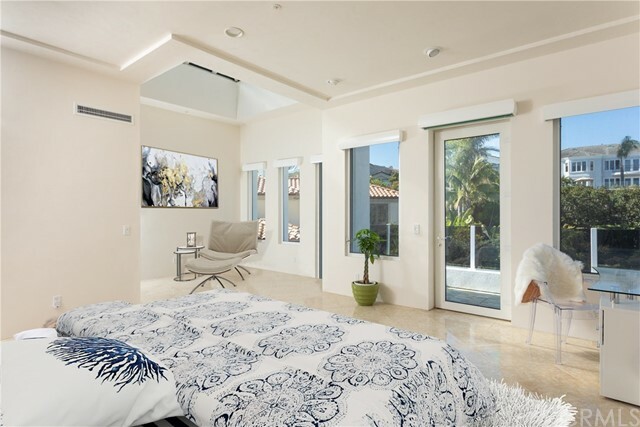 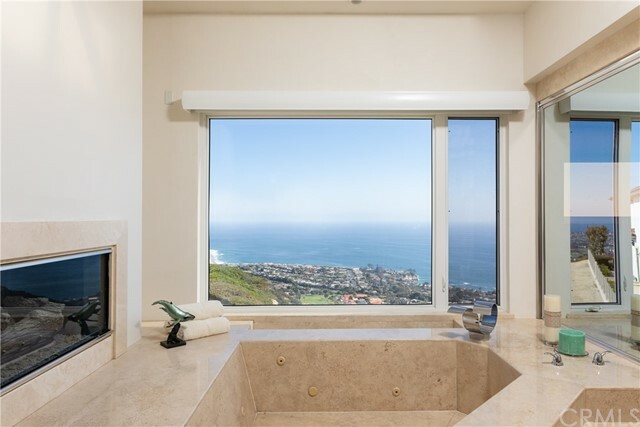 Enjoy privacy and elegance in the main floor bedroom suite with private entrance to the pool or take in the ocean views from your private steam room. 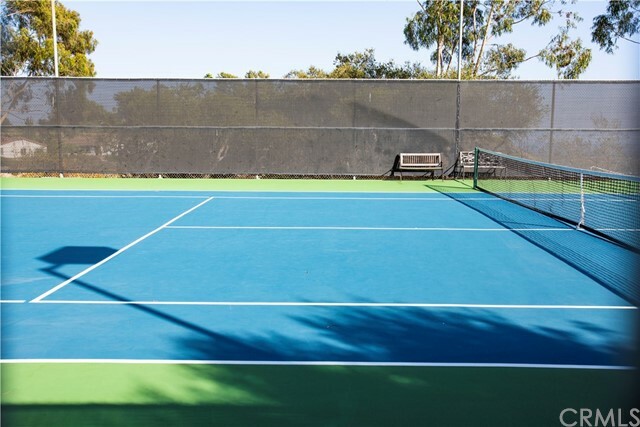 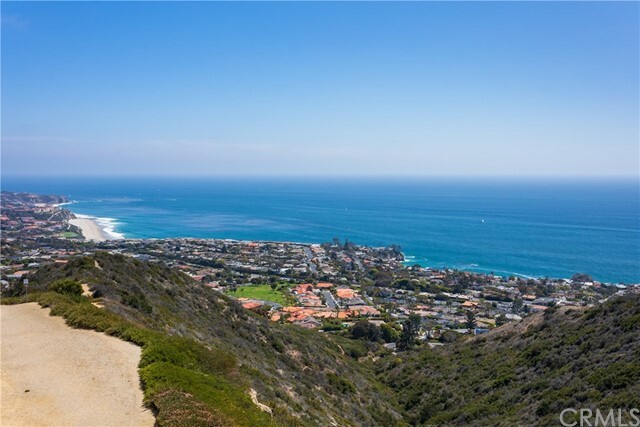 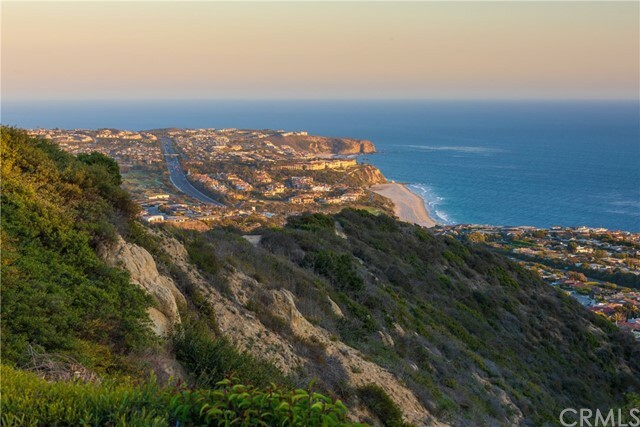 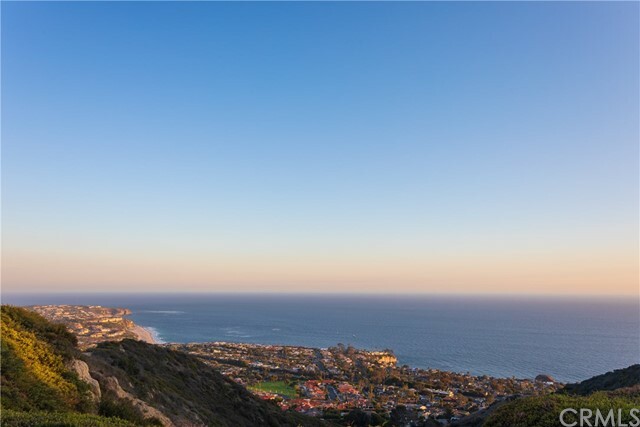 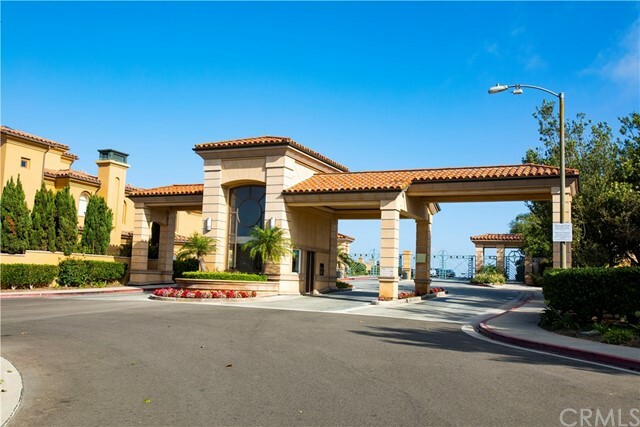 Laguna Niguel’s matchless Monarch Point provides hiking trails, community pools and tennis courts. 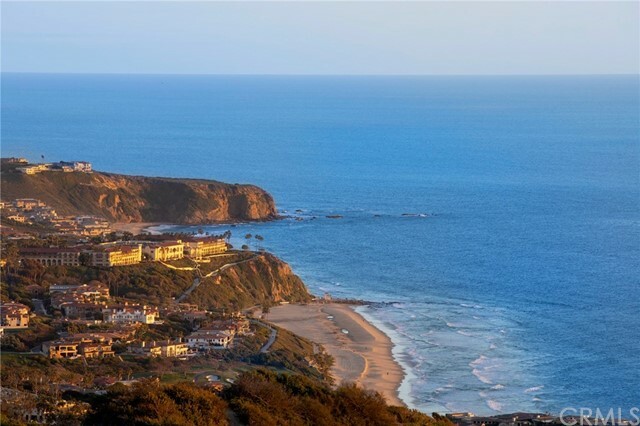 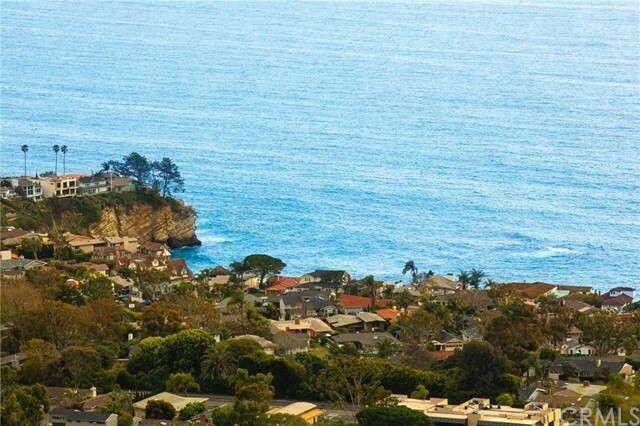 World-renown shopping and coastal beauty are just moments away.